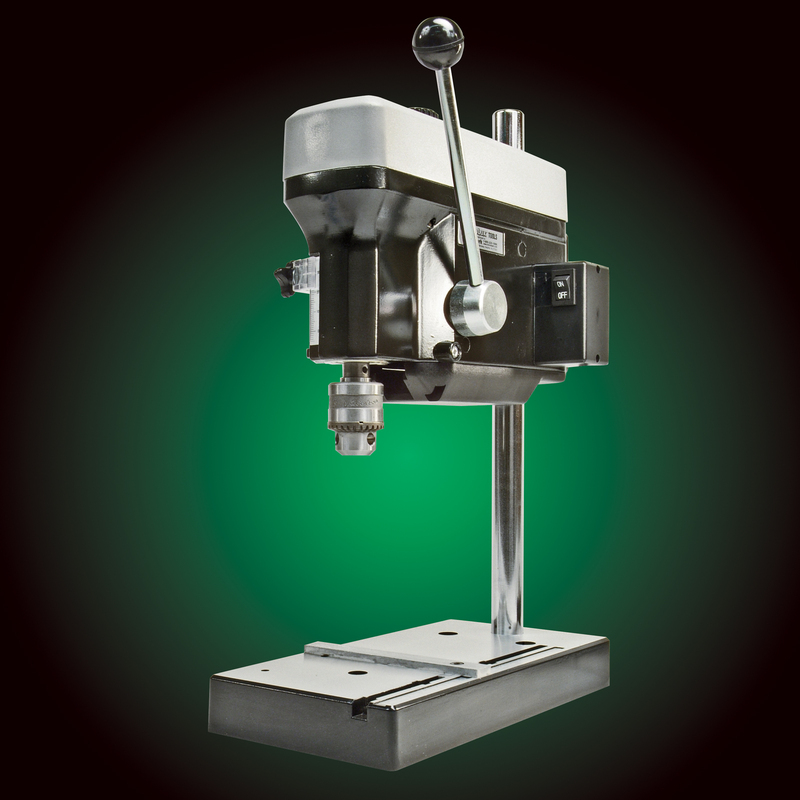 MicroLux® Drill Presses have all the quality features of drill presses costing much more. When you own a MicroLux® drill press, you'll never have to worry again about having the right tool when precise and accurate drilling is vital to your project. Here is an affordable drill press designed and sized for small precision work. No more working with cumbersome, oversized drill presses...and no more mistakes from using inaccurate, hand-held drills. Plus, you can select the right speed for the job in seconds. Prevent jagged holes in wood from a speed too slow. Protect against overheated plastic from a speed too fast. And drilling in steel, brass or any metal is a breeze. The high torque motor will drill a 1/4 inch hole through 1/4 inch brass quickly and easily...and even deeper holes in wood, plastic and other soft materials. Just the Right Size and Just the Right Features for All Small Drilling Projects!